FIFA 18's best young players with the highest potential, including the FIFA 18 wonderkids and FIFA 18 hidden gems. ST, CF, RW, LW, best CB, LB, RB, best CM, CAM, CDM, LM, RM, and best GK. FIFA 18 career mode hidden gems in FIFA 18. FIFA 18 young players with the highest potential. 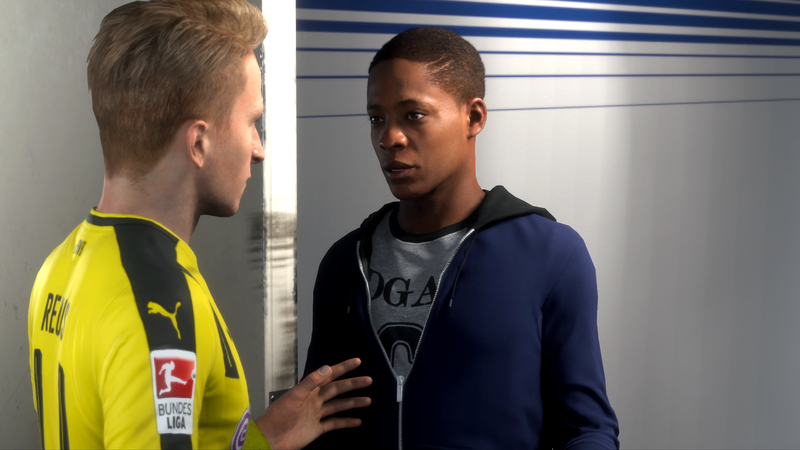 The best potentials in FIFA 18 revealed. FIFA 18 wonderkids and the FIFA 18 best young players with the highest potential are essential to build a great team in FIFA 18 career mode. In this FIFA 18 Best Young Players guide we will list the most exciting young FIFA 18 wonderkids, detailing the FIFA 18 best young players with the highest potential. We’ll be ranking the best young players in FIFA 18 in order of highest potential rating, but if you want to look at specific positions, we’ve got those too. Read on for the FIFA 18 Wonderkids and an explanation of what FIFA 18 potential is all about. Why is potential important in FIFA 18 and why should you be on the lookout for players with high potential? In this guide we reveal the FIFA 18 best potential young players. If you want more on FIFA 18 but aren't interested in finding out the FIFA 18 best young players and FIFA 18 wonderkids, check out our FIFA 18 Guide Hub. It's full of info to help you improve your skills or make the most informed buying decisions when you’re looking for new FIFA 18 players. Ronaldo is old news! Get the next hot wonderkid players in FIFA 18. Before you get into the bulk of this guide, here is what you really want to know: The FIFA 18 best young players with 90+ Potential. All of these are true FIFA 18 wonderkids that you'll want to sign as soon as you possibly can in your career game. They won't be cheap, but the pay off will be worth it. So, if you don't want to deal with mammoth table of young superstar players, just consult this list of the best young players in FIFA 18. FIFA 18 wonderkids include Kylian Mbappé, Gabriel Jesus, and Ousmane Dembélé. Get any of these players in your squad and you'll have one of the best young players in the game who will make a real difference to the overall quality if your team in FIFA 18. There's no one too surprising on this list of the FIFA 18 best young players. Mbappe looks set to be the best young player in FIFA 18, while Donnarumma is going to be a legendary goalkeeper. Hunter is good, but the real life wonderkids are amazing! Below you’ll find all the info you need on finding the best young players in FIFA 18 who have the highest potential - these are the FIFA 18 wonderkids. Elsewhere you can find a selection of players who are hidden gems in FIFA 18 - players who you can sign quite cheaply yet develop into strong first team members. Why is Potential in FIFA 18 Important for Young Players/Wonderkids? 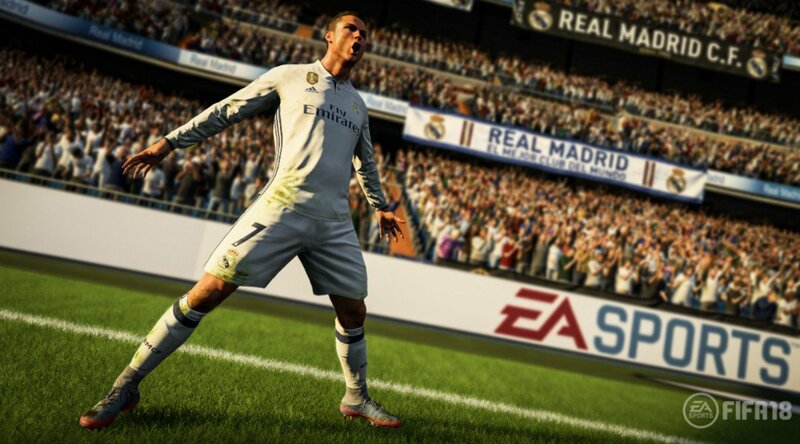 The potential of a player in FIFA 18 is the overall player rating a player can potentially achieve. It’s not a guarantee that a player with a high potential will reach their highest potential, with numerous factors affecting the outcome. These include how much game time a player gets and what club they are playing for. If a wonderkid player in FIFA 18 has the potential to reach an overall rating of 90 but spends most of his years sitting on the bench, he’s not going to become the player he could have been and his wonderkid status will be wasted. When you’re playing FIFA 18 you can scout players. By doing this you’ll receive reports, with one of the stats being a potential the player can reach. The more you scout, and the better your scouting, the more accurate this number range will be. This way you'll be able to spot if a young player is going to be good or is proper wonderkid potential. Alternatively you could simply use a FIFA 18 Young Player Potential guide like this one, in which we list the young players with the highest potential so you get get the best young players in FIFA 18 and don't miss out on any wonderkids. The reasons for buying young players in your FIFA 18 career are pretty simple: you can build a team that will stay together for years, or you can build up players to sell on for large fees later down the line. A developing young player will almost always sell for less than a developed superstar player, so you can get some relative bargains if you are clever on the transfer market. A wonderkid in FIFA 18 is either a star of the future or a cash cow you are fattening up to sell on for big bucks. As you can see, Donnarumma has insane potential. After three years he should be 90 rated or above, making him not only the best young goalkeeper in FIFA 18, but one of the best players in FIFA 18, full stop! He's true FIFA 18 wonderkid material! He has the potential to reach an incredible 94 rating. There are no potential 90+ rated defenders, but a few can get very close. Christensen and de Ligt have the highest potential for young defenders in FIFA 18. In the midfield there is a bunch of young players who should be able to reach ratings of 90+ in FIFA 18. Martial, Lemar, and Dembele will all end up as world class players at the very top of the game and can all be classed as FIFA 18 wonderkids. Another bunch of FIFA 18 youngsters make it to over 90 in the attacking pool. Asensio, Alli, Jesus and Sané should all end up in the 90s. Since we conducted our simulation EA has released a set of young players which it says have the best potential in FIFA 18. Remember that you aren't guaranteed to reach each player's potential, but this is the best possible outcome. If you want FIFA 18 wonderkids, consult the list below. We’ve also worked out approximate prices you’ll need to pay for the best young players in FIFA 18. Check the table below for their approximate costs if you want to nab them in the transfer market. These aren’t guaranteed prices, and some clubs just won’t sell. If that lot of the best young players in FIFA 18 doesn't interest you, perhaps you need to be playing a different game! Here are a number of tips to help you out while you search for the FIFA 18 best young players and wonderkids to buy in FIFA 18. Don’t always target the best young player stars - While it would be great to sign Dele Alli or Dembélé, they are already high quality players, at big clubs who will be reluctant to let them go. If they do sell, it’ll be for extortionate fees. Anyone over 80 Potential will be great - If you’re trying to build a good squad, any player with a rating over 80 will be worth investing in. Low current ratings are cheaper buys - Players who have a low current overall rating are generally cheaper and more likely to be sold. A player like Josh Onomah was available at a reasonable price in FIFA 17, yet had the potential to reach a rating of 85. His rating of 70 meant he wasn’t a high target for the biggest clubs. For FIFA 18 Ultimate Team Icon player ratings, check out our FIFA 18 Ultimate Team Icons Player Ratings guide If you're playing the FIFA 18 World Cup 2018 update you might want to check out our guide to the FIFA 18 World Cup.